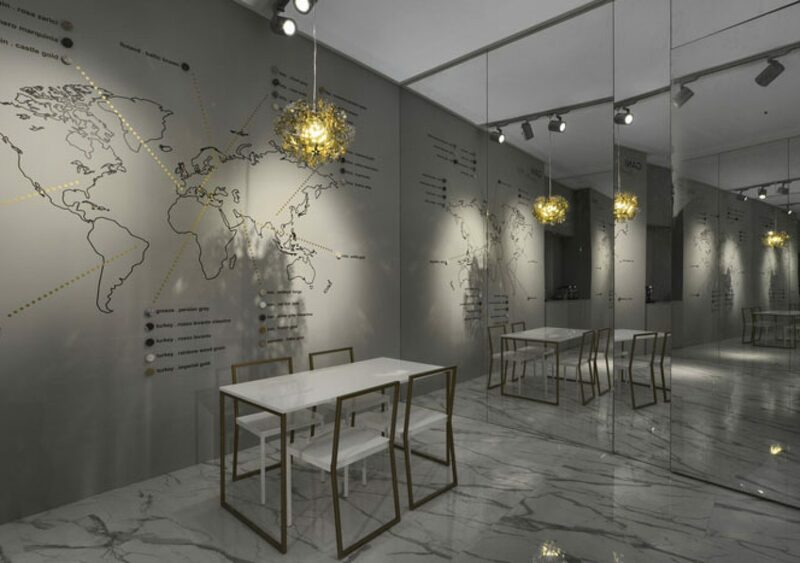 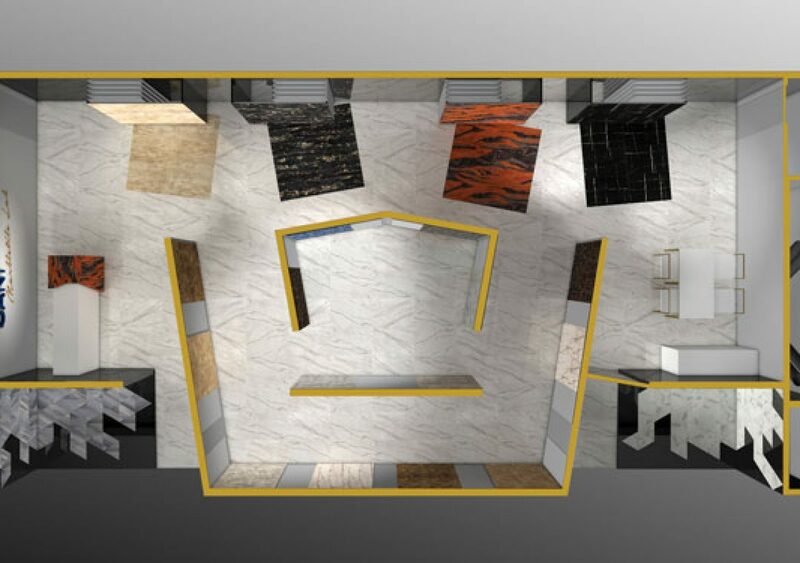 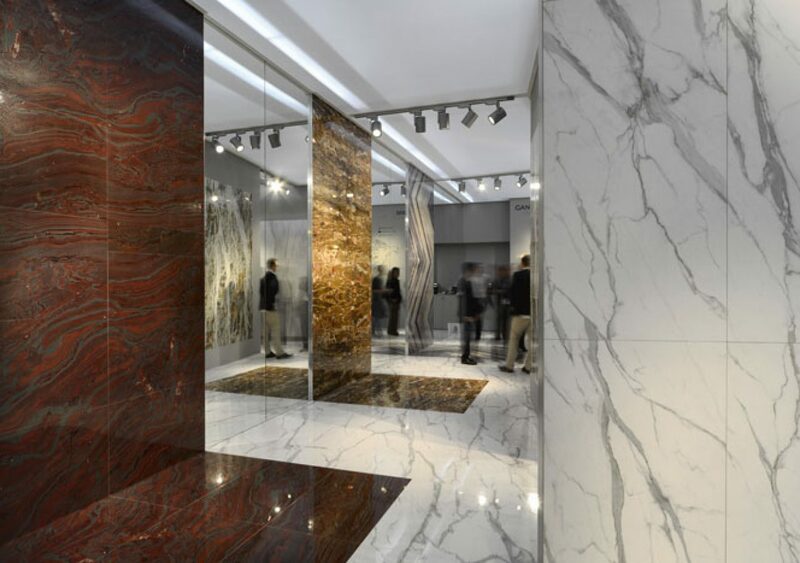 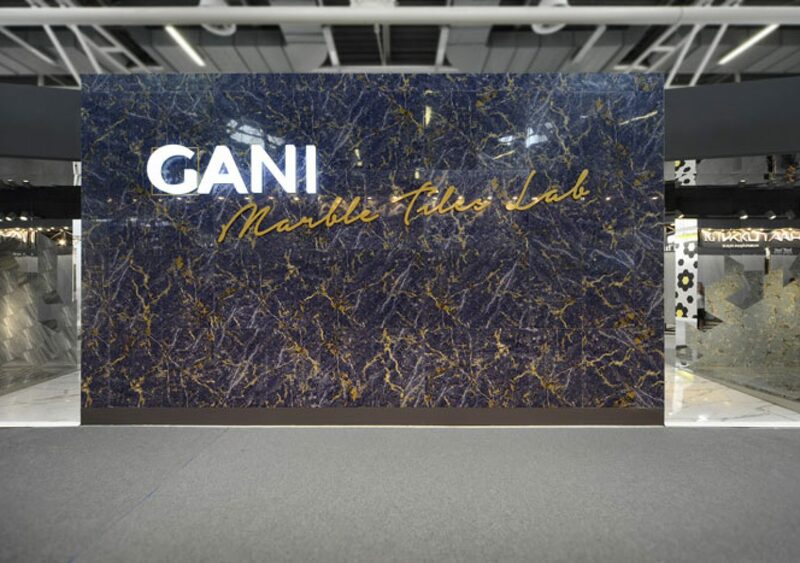 A project for a small booth for the chinese company Gani Marble Tiles gives us the opportunity to create a little jewel. 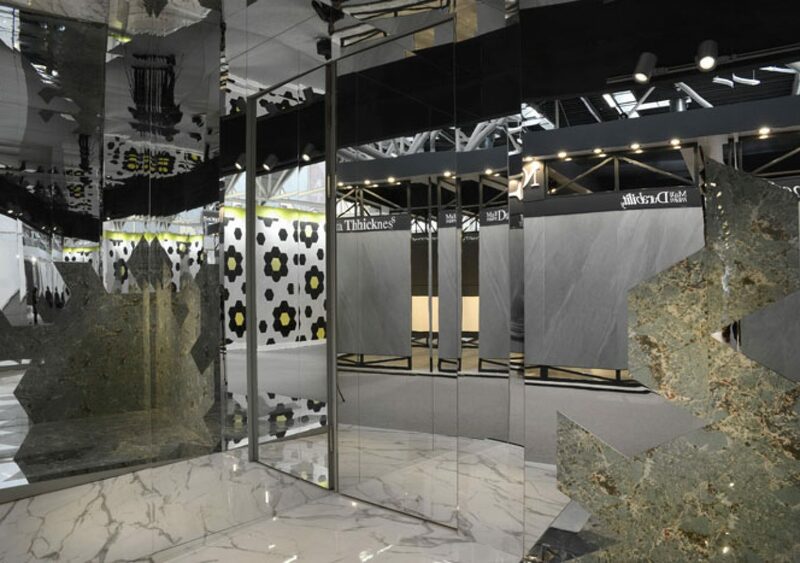 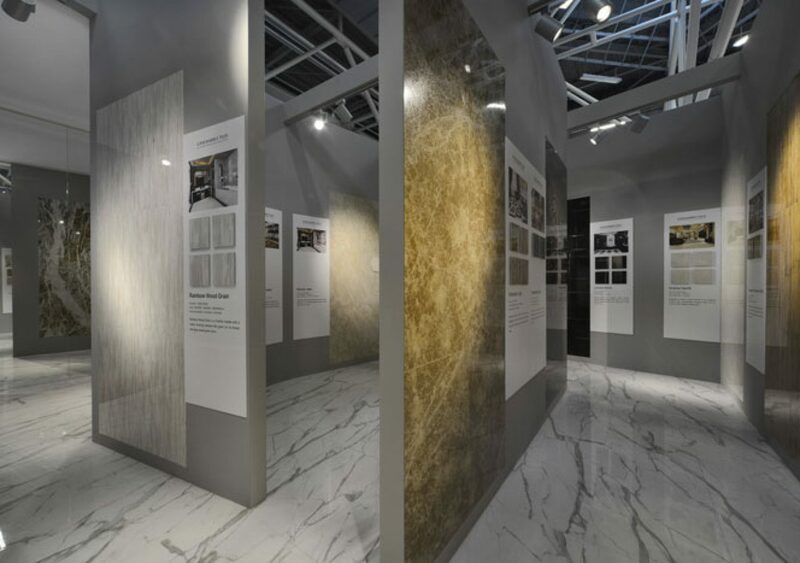 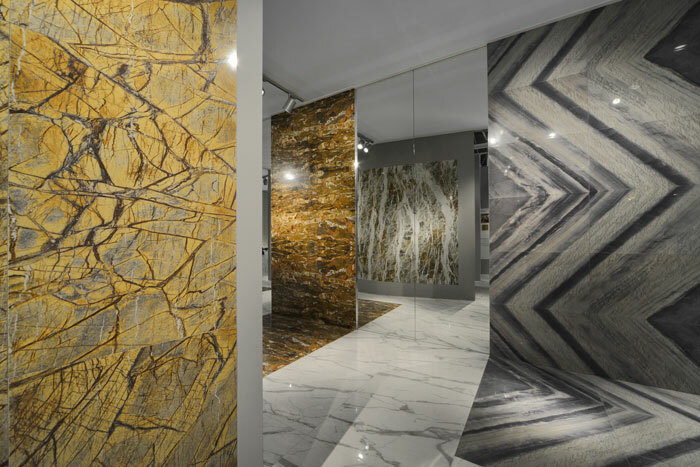 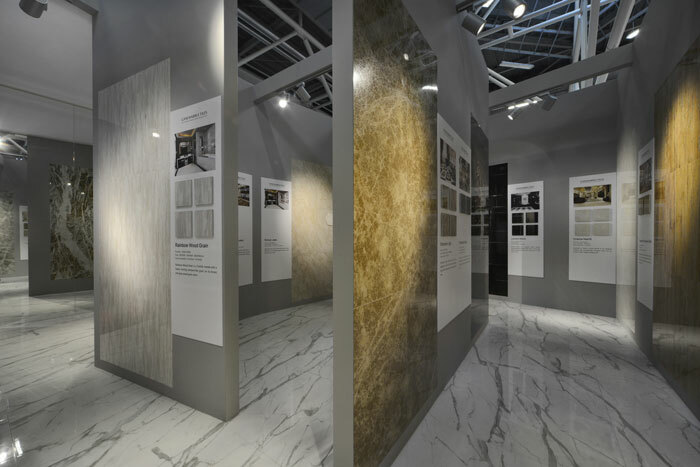 This company is focus on recreate the perfect marble tile in ceramic matter; so the booth show their attention to details. 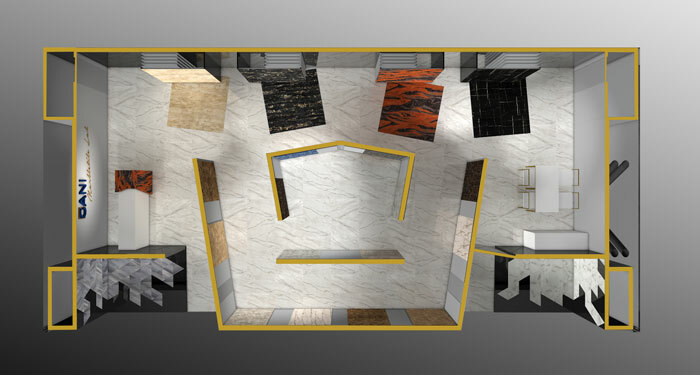 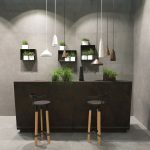 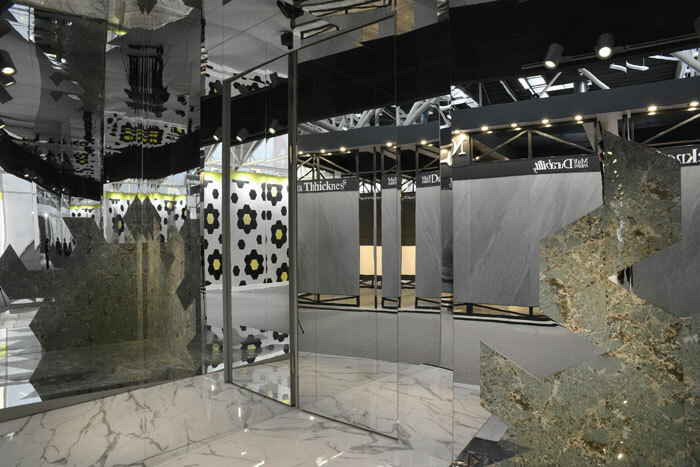 The idea has been to enlarge the space using a lot of mirro, those mirrors also reflect ceramics and the visitor can see tiles from every position inside the stand. 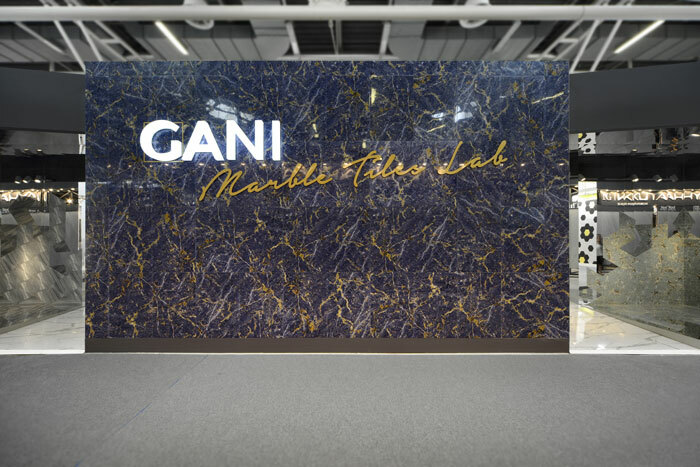 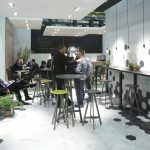 It is their first time at Cersaie so it is important attracting people with the facade: 2 front niches with ceramic cutted triangles and mirror on the 2 corners and a huge blue-gold wall (one of their main products) with a golden logo.